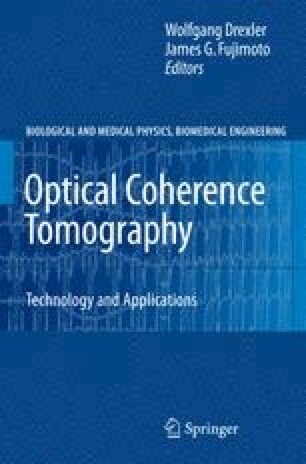 The quality of images obtained with Optical Coherence Tomography (OCT), like many other imaging modalities, can be enhanced by using signal processing to numerically infer properties of the object being studied. While a great deal of insight can be gained by understanding OCT intuitively as a range-finding mechanism, more sophisticated analysis can reveal additional detail and features to the extent data quality allows. To maximize the utility of the data, signal processing is used to reject noise and to ensure the resulting image conforms to known properties of the object. We briefly summarize concepts of inference in signal processing. These ideas are applied when reviewing and examining methods of reducing noise, improving resolution through deconvolution, reducing speckle, correcting for material dispersion and OCT system imperfections, and deblurring the defocusing effects outside of the depth-of-field of the OCT instrument.